President Historical Society of Pickering. Ex. Director Durham West Arts Centre. Playwright & Poet, Author of 12 Books. 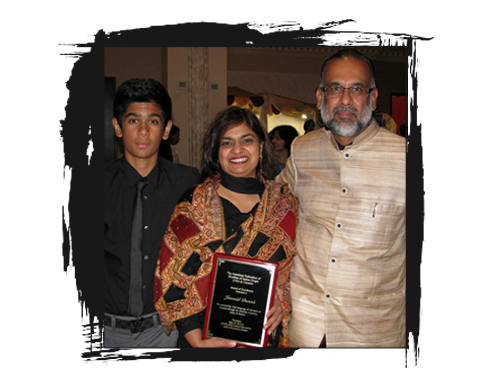 Jawaid Danish (Artistic Director) Since immigrating to Canada in early 80s, from his native India, Jawaid Danish has become well known In literary circles in and around Toronto, especially among theatre lovers as an ambassador of Eastern values and theatre. An English literature graduate from Aligarh Muslim University in India, Jawaid became a causal radio and Television artiste in Kolkata in1976. Here he received a partial support from a local newspaper to write a travelogue of Europe and North America. In pursuit of this career he travelled widely and his travelogue appeared in Kolkata and New Delhi newspapers and some magazines in regular installments to wide acclaim. It was so popular that later it was published in book form under the title “AWAARGI” (Wanderlust). A celebrated author of 13 Books in Urdu, Jawaid’s repertoire includes travelogues, poetry and drama collections. He prefers to write in Urdu which is his mother tongue, but his plays has been translated into English, Swedish, Hindi,and Bengali. The trials and tribulations of immigrant families in Canada is a recurring theme in his plays, addressing wide-ranging topics from AIDS, Cancer and Mercy Killing, Autistic Special Kids, Transgender settlements to satires on arranged marriage. These contemporary subjects appeal to the myriad cultures of the Canadian mosaic and are appreciated in print as well as on stage. Some of the plays from his award winning book “Hijrat Ke Tamashey” were adapted for a 13-episode serial produced by Omni 2 T.V. in Toronto in 2007, with reruns in 2009, 2010 and 2011. His play “ Bara Shayer Chota Aadmi “ has been made into a Tele film in Toronto in 2013. 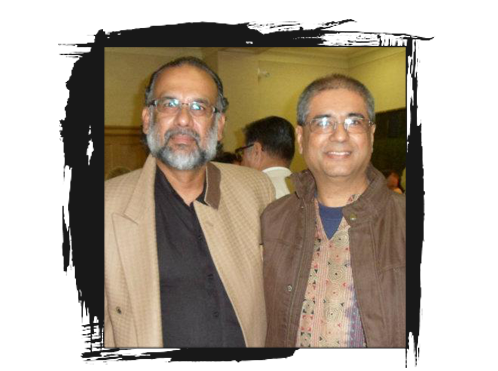 Jawaid Danish is the founder and Artistic Director of RangManch-Canada, a not for profit theatrical group which promotes Indian theatre in Canada. He organises the Hindustani Drama Festival annually, showcasing the varied and rich heritage of Indian theatre. RangManch-Canada thus endeavors to acknowledge and bring together the many languages and cultures in our diverse communities. He has received numerous awards and recognition world wide, among them The Civic Arts Award-Pickering, Canada 2010, South Asian Theatre Festival Award – New Jersey 2008, 2009 and 2012, and the Shiromani Sahitya Award – India 2007, to name a few. The latest and more Prestigious are “ Ghalib Award for Drama “ from Ghalib Institute New Delhi, and “ The Sadaf International Award “ Doha Qatar,in 2016. He has read and presented his plays in the Universities of Delhi, Kolkata, Lucknow, Dhaka, Karachi, Sweden and Tokyo, and participated in panel discussions and theatre festivals abroad, always proudly representing Canada. His New found Love is DASTANGOI, The Lost Art of 16th Century Storytelling in Urdu. He has been travelling extensively with his solo preformances of ‘ DASTAN HIJRATON KI’ The epic tales of immigrant issues. Jawaid strongly believes that in this age of chaos and confusion theatre is a great source of comfort and healing. Under his leadership, RangManch-Canada truly does represent theatre for peace, purpose and passion.